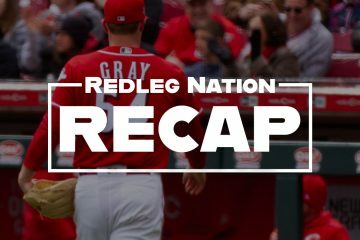 There is lots of talk about big changes coming soon to the Reds pitching staff with Michael Lorenzen to soon return from the DL and slated for the bullpen.Ã‚Â Anthony DeSclafani will soon be back from the DL and in the rotation.Ã‚Â There are also whispers of Cody Reed and Robert Stephenson possibly getting recalled after they can no longer qualify for Super 2 status.Ã‚Â I guess we may soon finally see if the Reds brass can make the hard decisions required for a rebuild as they attempt to sort out roles for the pitching staff.Ã‚Â It will be interesting to see what transpires. 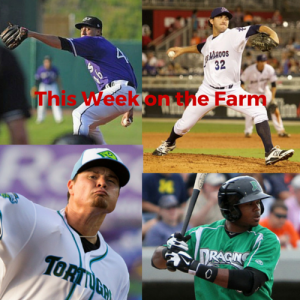 WeÃ¢â‚¬â„¢re a third of the way into the minor league full season schedule now.Ã‚Â ItÃ¢â‚¬â„¢s time to see what is going on down on the farm. The Bats have a 28-23 record and are in 2nd place in the International League West. The International League hitters are averaging .252/.319/.372/.691. 3B Jermaine Curtis (.326/.440/.465/.905) is just flat out getting it done at the plate.Ã‚Â It would be nice if the Reds could reward Curtis with a shot at a bench spot this season.Ã‚Â Curtis has as may HBP (9) as Kyle Waldrop does BB.Ã‚Â OF Steve Selsky leads the Bats in 2B (12) and SO (38).Ã‚Â OF Jesse Winker has more BB (28) than SO (25).Ã‚Â SS Jose Peraza leads the club with 4 3B, 7 SB and 6 CS.Ã‚Â Sadly, OF Kyle Waldrop and 3B Jermaine Curtis are tied for the club lead with 4 HR. The International League average ERA is 3.52. SP Cody Reed has a 2.70 ERA and a 1.029 WHIP over 8 GS.Ã‚Â Reed also leads the BatÃ¢â‚¬â„¢s SP with 9.1 SO/9 and 2.1 BB/9.Ã‚Â Reed definitely seems to be the most polished starter at AAA thus far.Ã‚Â Robert Stephenson leads the SP with a 6.6 H/9, but does have a poor 4.4 BB/9.Ã‚Â LH RP Wandy Peralta is off to a good start at AAA with a 2.79 ERA and a 0.828 WHIP over his first 9.2 IP and has yet to walk a batter.Ã‚Â Keyvius Sampson is back in the rotation (9 G with 4 GS) and has a 2.13 ERA over 25.1 IP allowing 20 H and 6 BB with 26 SO. The Blue Wahoos have a 31-21 record and are in 1st place in the Southern League South. The Southern League hitters are averaging .253/.330/.369/.698. 2B Brandon Dixon went on a two game tear the last two games in May where he went 7 for 9 with 2 2B and 4 HR.Ã‚Â Dixon had a horrible April (.241/.274/.293/.567), which he followed with an outstanding May (.342/.400/.724/1.124) to bring his season numbers to .299/.347/.537/.884.Ã‚Â OF/1B Kyle Parker, who over his minor league career has a 2.3/1 SO/BB ratio, currently has more BB (23) than SO (17) in 94 PA.Ã‚Â ParkerÃ¢â‚¬â„¢s 23 BB lead the club and heÃ¢â‚¬â„¢s played in less than half of the teamÃ¢â‚¬â„¢s games.Ã‚Â It will be interesting to see if he maintains this new approach at the plate.Ã‚Â IF/OF Tony Renda (.305/.350/.444/.794) leads the club in 2B (17) and 3B (3).Ã‚Â OF Phil Ervin (.230/.350/.412/.762) leads the team with 19 SB with just 2 CS.Ã‚Â Ervin also has 8 HBP to lead the club.Ã‚Â Eric JagieloÃ¢â‚¬â„¢s 51 SO leads the team. The Southern League average ERA is 3.82. 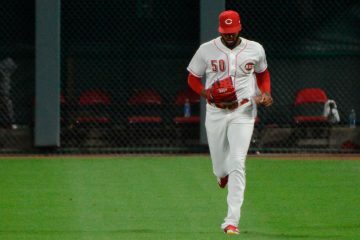 SP Amir Garrett (1.79 ERA and 1.061 WHIP in 10 GS) and SP Rookie Davis (1.59 ERA and 0.853 WHIP in 6 GS) lead the staff.Ã‚Â Davis is still on the DL with a strained groin.Ã‚Â SP Jackson Stephens leads the rotation with just 1.7 BB/9 followed closely by Rookie Davis 1.9 BB/9 and Sal Romano 2.0 BB/9.Ã‚Â Sal Romano and Nick Travieso lead the starters with 9.8 SO/9.Ã‚Â Romano has a 5/1 SO/BB ratio which lead all Blue Wahoo starters.Ã‚Â LH RP Nick Routt has a 0.61 ERA, a 0.682 WHIP, and a 8.3 SO/9. The Tortugas have a 24-30 record and are in 4th place in the Florida State League North. The Florida State League hitters are averaging .245/.316/.350/.665. 1B Gavin LaValley (.212/.350/.424/.774) is off to a good start in his first 40 PA since joining the team.Ã‚Â RF Aristides Aquino (.256/.322/.421/.743) leads the teamÃ¢â‚¬â„¢s regulars in HR (6), SO (51), SLG (.421), and OPS (.743).Ã‚Â 1B Avian Rachal leads the teamÃ¢â‚¬â„¢s starters with a .355 OBP.Ã‚Â OF/1B Brian OÃ¢â‚¬â„¢Grady is the team leader in 3B (3) and BB (26).Ã‚Â IF Blake Butler leads the team with 11 2B and a .281 BA. The Florida State League average ERA is 3.40. SP Tyler Mahle (3.13 ERA) leads the rotation with a 1.105 WHIP, 7.5 H/9, and 9 SO/9.Ã‚Â SP Keury Mella paces the starters with a 2.64 ERA and has the starters worst BB/9 with a 3.4.Ã‚Â SP Tejay Antone leads the rotation with 2.1 BB/9.Ã‚Â RP Jimmy Herget leads the relievers with a 1.78 ERA, a 0.947 WHIP, 12.9 SO/9, and 8 S.Ã‚Â RP Nick Howard leads the entire staff with 24 BB in just 14.1 IP and has an amazing 15.1 BB/9. The Dragons have a 13-40 record and are in 8th place in the Midwest League Eastern. The Midwest League hitters are averaging .244/.317/.344/.661. 2B Shed Long (.269/.346/.455/.801) leads the team in BA, OBP, SLG, and OPS.Ã‚Â Long is also the leader with 16 2B, 6 SB, and 19 BB.Ã‚Â James Vasquez (.243/.320/.439/.759) is the teamÃ¢â‚¬â„¢s next best hitter and leads the club with 8 HR.Ã‚Â OF/IF Shane Mardirosian (.252/.329/.320/.649) has the teamÃ¢â‚¬â„¢s second best OBP at .329 and also paces the team with 3 3B.Ã‚Â OF Ed Charlton leads the club with 45 SO. The Midwest League average ERA is 3.47. Before being traded to Baltimore, SP Franderlin Romero (2.87 ERA) led the clubÃ¢â‚¬â„¢s rotation with a 1.170 WHIP, 8.8 H/9, and 1.7 BB/9.Ã‚Â With RomeroÃ¢â‚¬â„¢s departure, SP Austin Orewiler now leads the starters with a 2.42 ERA, 1.231 WHIP, 9.1 H/9, and 2.0 BB/9.Ã‚Â SP Jose Lopez (4.53 ERA) leads the rotation with 9.8 SO/9.Ã‚Â RP Ariel Hernandez leads the relievers with a 1.93 ERA, a 0.929 WHIP, 2.9 H/9, and 11.9 SO/9. What’s the deal with Keyvius Sampson? He seems to dominate at AAA, then flail in the show. Has he just not been given a chance to get past the initial pressure and nervousness, or is there something fundamental in his approach that does not translate to the highest level? He had a “meh” but not terrible FIP last year of 4.76 with 0.4 fWAR in 52 innings. I think this year in his 7 innings, it’s just too few innings to draw any useful conclusions. The correct answer may be “he’s just not that good of a MLB pitcher.” Unfortunately, that’s where most AAA pitchers fall. I have a very visceral reaction to Sampson for no good reason other than associating him with poor performance. Of the Reds many bad pitchers, he sticks out to me more than some of the others. DFA him, throw him in with a Bruce trade, do whatever, just don’t call him up anymore. He was DFA’d in April. Nobody would take him. Sampson was DFA’s in April, but was recalled again in May then optioned back to AAA 4 days later. As of earlier today, Sampson was still on the 40-man roster and pitching at AAA. He’s got a really good arm and I still think he has the potential to be a nice MLB relief pitcher. I think he needs more time to show what he can or can’t do an MLB bullpen. This last time, the Reds sent him down too quickly. Sampson is currently starting for Louisville and overall has done well in that role for them this year. He is pitching tonight; and just finished the fifth with no runs allowed, on 2 hits, 1BB, 7K’s 69P/423S. I think he wants to be a starter and is giving it his all to try and pitch his way out of the Reds org (in a good way) and on to another org that will give him a shot to make their MLB club next year as a starter. Sampson did have surgery in the off season to remove loose bodies from his elbow. So that issue may have tainted his 2015 numbers. I’d give him little rope this year to show us what he has and 7 IP in MLB is a pretty small sample. If he continues his success and keeps throwing strikes at AAA, I would not be against seeing him in the bullpen again some time if needed. Oh, sure! I’m all for giving him (and anyone) some rope for the next few years. The last 2 MLB draft have been very suspect for the Reds, and I think that is showing with the weak team and play at Dayton this year. It is soooooo important for the Reds to get it right this year with the #2 overall selection. The funny thing is that the Reds #35 and #43 picks will be almost as important as the #2 pick, almost. Three solid selections this year at those pick slots could help set up the Reds minor leagues for the next few years. There are several good players who were projected as middle first rounders that are slowly falling to the competive balance round and the Reds have the first pick there (#35). There are no star-studded prospects, but the Reds could really change their minor league offensive fortunes with 3 good hitters here. But with this Reds front office, how many RH pitchers will they select in these first 3 picks? Yeah, I’m scratching my head over all the talk that the Reds will take AJ Puk, who is a leftie, if the Pfillies do not take him. I wonder if the mavens have any actual insights the Reds are leaning that way or just pulling it out of the hat based on the Reds past drafting proclivities. Another good bet for wasting one of those first three picks is that they will spend it on a two way guy (pitching/ positional) then choose to use him in the opposite role to what most everybody else had him projected. Isnt it a littler early to say the last two drafts are suspect especially the 2015 draft??? Too early to call those 2 drafts suspect? No. Too early to call both of those drafts busts? Yes. The fist 5 picks from the 2014 and 2015 drafts and what they are accomplishing. 2/49–Antonio Santillan–RHP No 2016 action. 2/71–Tanner Rainey–RHP (A) 1-5, 5.92 ERA, 5.28 FIP, 5.21 BB/9. 4/115-Miles Gordon–CF No 2016 action. 5/145-Ian Kahaloa–RHP No 2016 action. 1/19–Nick Howard–RHP (A+) 14.1 IP, 24 BB, 15.07 BB/9. 3/94–Wyatt Strahan–RHP (A+) Only 4 G’s in 2016. Not much to be excited about. I am assuming the ones with no action yet in 2016 will begin their seasons in rookie ball again. There is a lot of promise with some, but not much success yet. Three guys from 2015 will be at Billings hence why I think that is way to early to look when half the first 5 round guys havent started. Stephenson has been wracked with injuries. 2014 on the other hand is a bit worrisome. With the focus on the return of injured starting pitchers along with the possible call up of starting pitchers and the thinking the bullpen will be populated with fall out from the rotation, could Wandy Peralta be an under the radar call up directly into the MLB pen? Does anyone know the time our top prospects will pass the Super Two status? Is there a way I can find it myself? I would just like to know when it is that we might be able to expect guys like Stephenson and Winker up if they’re ready – I know that some might not be ready yet. I know it’s supposed to be sometime in June but I don’t know anything more than that. There is no way to determine the exact date for super 2 status since that is detemined after the fact based on a specified percentage of playing time cutoff established after the end of the season for the next season. In order to be sure, the team must err on the side of caution, since the super 2 cutoff in question will be in the 2019 season when players like Stephenson, Reed, Winker, Peraza etc. will have 2+ seasons of major league service and that won’t actually be determined until after the 2018 season. Then there’s also the elephant in the room regarding the new CBA agreement yet to be negotiated. My explanation got chopped off a bit when it posted. the range is greater than 2 years (344 days) service time and less than 3 years service (516 days). And then again, we may not. This one will go up to the box for further review…. By the ASB it is not inconceivable that the Reds rotation could be Bailey, Disco, Stephenson, Reed and (pick one from everybody else). When the ripple down through the pen settles it is likely Lorenzen, Finnegan (because pens “always need” another lefty), the likes of all but one of Straily, Iggy, Lamb, Moscot, Adelman and Wright could be in the pen along with whatever incumbent(s) manage to survive. This could make for an interesting 2nd half of the season. Until Stephenson lowers his walk rate, I am fine with Finnegan in the starting lineup. I like his grit and his stuff. He has done nothing to be replaced by a starter not named Disco, Bailey and Reed. I like Finnegan and would like to see him get the entire year starting. He has stuff. We know he can always relieve. Can he be a starter long term is the ?